Westworld has been dinged, by myself and others, for its seeming inability to tell a coherent and cohesive story. 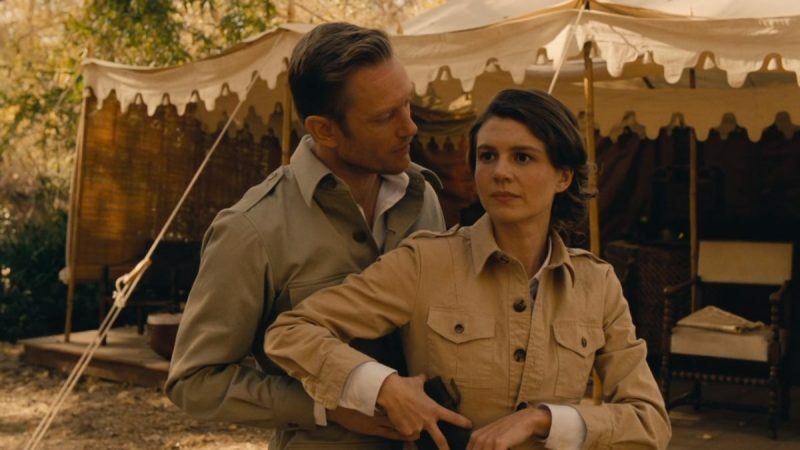 And while season two has been much better at avoiding the solely puzzlebox nature of season one, it wasn't until watching that opening sequence of "Virtú e Fortuna" that I began to believe that Westworld can be something truly special. Our surprise taste of Park 6 ("The Raj" per the Westworld site) was 10 minutes of smart, compact storytelling. We meet our protagonist (Grace, per HBO), learn that she has grown disillusioned with the world of the Park (opting to shoot a fellow guest just to ensure he isn't a host before sleeping with him is pretty out there), and see that she has the wherewithal to hold her own when faced with hosts who want to kill her (and, for that matter, tigers). One of the biggest complaints in season one was the lack of female characters with agency. That certainly isn't the case this time around- with hosts and with humans. There's an underlying mystery as to who Grace is (she's clearly spent a lot of time in the Park, and there are several theories out there which I have studiously avoided reading), and whether or not she'll survive her encounter with the Lakota, but that opening sequence stands alone as a brilliant self-contained arc (I was actually disappointed to see her emerge from the lake as it ruined the tight narrative). Also particularly brilliant? Another week spent following the show's two interesting arcs while leaving the Man in Black to continue wandering well off-screen. Dolores's story intertwined for a brief moment with both Bernard and Charlotte this time around, filling in some blanks as to how Bernard ended up unconscious on the beach (it almost certainly has something to do with Dolores) and how Charlotte managed to find herself alive underground in the present (nothing special, just that she's a survivor who has a mission she won't abandon). But, more importantly, it gave us additional insight into who Dolores is evolving into. Yes, she's Wyatt and hellbent on revenge, but she's also shrewd and calculating in a way that goes beyond our initial understanding of her character. The utter despair on her face at seeing Peter Abernathy disintegrating before her eyes. The knowledge that Bernard might just be waking up to his place in this brave new world, but that she knows he will need to make a choice sooner rather than later, even if he hasn't yet realized the same. And, perhaps most importantly, her shadowing Teddy to see him refuse to kill the Confederate soldiers despite her order to do so. Poor, stupid Teddy. Enjoy that lake, buddy. On the other side of things, Maeve has managed to string together her own small fighting force, combining humans and hosts in a way Dolores never would. It was a delight to realize that Felix had survived (and to see how happy Maeve was to see this as well). And it's always great to have Armistice back in the fold. While this brief look at Maeve's journey was more about getting the gang all back together and having some fun with Lee's character (his righteous anger at realizing that Maeve and Hector had formed a romantic duo outside of their programming was hilarious). While Dolores has literally recruited and destroyed an army (a calculated move, as in her version of this new world, only some hosts get to live on and experience it), Maeve's team is operating on a much smaller, simpler level. They'll burn the world to the ground if they have to, but all that matters is getting her daughter and getting out (and, when the time comes, having actual humans around might be a plus that Dolores is overlooking- one evening in the outside world does not an expert make). This juxtaposition continues to be the most interesting element of the new season, anchored by several strong performances (shout-out Louis Herthum's great work as Peter Abernathy this week). I dread having to get back to the dull William arc some time in the future. Final Thoughts: -- So, we've seen elements of three Parks now (Westworld, Shogun World, and Raj World). All seem to hearken back to the "good old days"- the Wild West, British colonized India, and, one assumed, feudal Japan (all we've seen is two brief glimpses of samurai). That choice of time period certainly says something about the rich individuals who frequent these Parks. -- I cannot wait for the final showdown between Dolores and Karl Strand's team. It's going to be explosive. -- Bernard's quick brain fluid fix appears to have warn off. Not sure how he's going to get out of this pickle.